it is an honor for us to present you the complete and freshly updated range of Spark exhaust systems in our international web-shop Euronetbike.net. This offer is time limited from 20. April until 30. April 2016.
it is an honor for us to present you the complete and freshly updated range of SW Motech Legend gear collection and Furygan motorcycle collection in our international web-shop Euronetbike.net. For this special time we offer you 10% discount for all SW Motech Legeng gear and Furygan product. This offer is time limited from 1. April until 15. April 2016. We upload our new brand Evotech Performance and for next ten days we prepared for you a special offer. Just filter your bike and model and get 10% discount on all Evotech Performance items. You can check our offer by clicking on the picture below the text and simply order parts. If items are not on stock we can deliver all items that are available from producers. for next two weeks we prepared a special offer for you. We put 10% discount on all GIVI items as well as Healtech Electronics parts. don't miss the chance to get 10% off the selling price for the following brands. 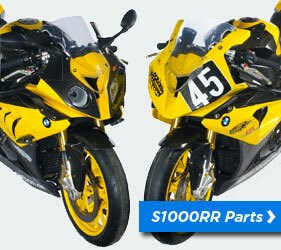 We offer 10% off for all Stylmartin shoes and moto boots as well as for all Ilmberger carbon parts. Ermax has been designing and producing quality windscreens,fairings and other motorrcycle add-ons in sothern France since 1978.They carry a wide variety of products for 25 motorcycle and scooter brands from around the world.Aprilia,BMW,Ducati,Honda,KTM,Kawasaki,Piaggio,Suzuki,Vespa and Yamaha just to name a few. Their full catalog just has been added to our shop with,detailed product information and photos where available. With the use of our filtering system it's easy to find the perfect accessory for your ride. As always,feel free to contact us with any questions or suggestions. Welcome to new EuroNetBike webshop. After haveing success with our previous web design now the time came to create a new face design. Now you can enjoy navigating on our site even using mobile devices such as tablet, smartphone, Smart TV, PC Monitors, Laptops or other gadgets. We hope that you can enjoy surfing on our web shop and if you questions we will reply you as soon as possible. You can leave also comments under this content to suggest your thoughts about. Started from April 10-11-12 2015. It was our pleasure that this year we started the riding season with participating at Tulln Austria 2015 Fair. We have introduced our main brands like Barracuda, Stylmartin, Motto Wear Kevlar Jeans, Fieldsheer Wear, Rokform Smartphone Cases for motorcycles and TwoBrothers exhaust systems. We admit that those days were busy days for us, but it was a pleasure to meet many friendly riders from different countries of Europe, as Austrian, Czech, Slovakian, Slovenian, Hungarian, Germany and others that were travelling across Vienna. Powerbronze has a wide range of the products which are difficult to find the right part that is needed in a short time. Finally our team worked to make possible to show you a quickest way to find the products using dropdown menus. You have only to choose your bike brand, model and year. All the products belonging to the options you have chosen, will be listed below. Have fun finding the parts easily and let us know if you face any problem.